As a reporter covering all things zombie, I spend the better part of my time trying to find zombie news. When I hear gossip and rumor, I do my best to track down the facts and get the story right. There are a couple of photos making their way around the web this week and try as I might, I’ve not been able to confirm that they are truly leaked photos of a real scene or something that AMC has cooked up as a way to push ratings for the last two episodes of The Walking Dead. If the photos prove to be the real deal, then Walking Dead fans will have one less Dixon brother to enjoy. 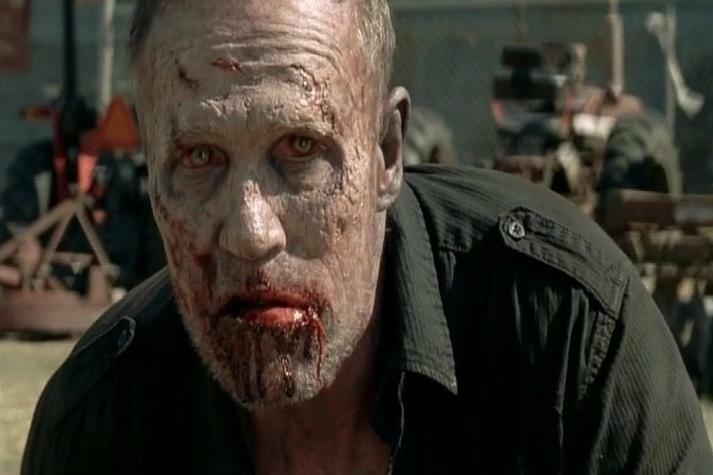 Fangirls, don’t worry, it’s not Daryl, but Merle who joins the ranks of the undead. 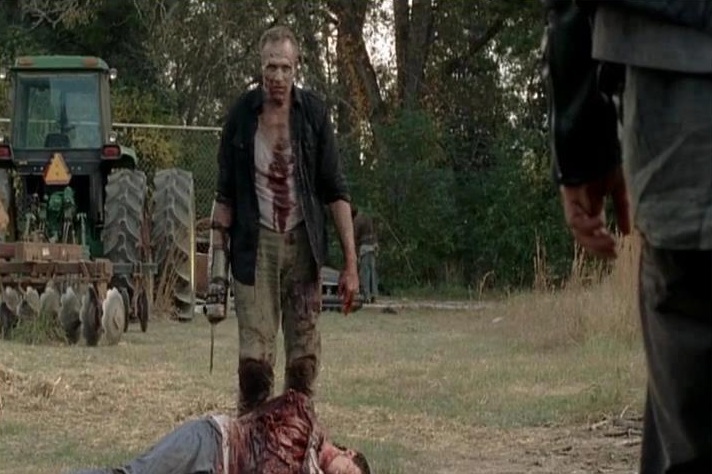 The first is a full body shot showing a bloody Merle standing over a body. This isn’t the best evidence as Merle has been known to get his hand bloody from time to time. But the clencher is the close-up shot of Merle’s face. He doesn’t look like he’s been gone too long, but the zombification is unmistakable.